It is the perfect time to find your new Honda from Okotoks Honda – just a few minutes South of Calgary and the #1 Google Rated and Reviewed Honda dealership in Calgary, Alberta and Canada! All month long, when you finance select 2019 Honda models, don’t pay for 90 days! Or, you can lease it with Honda’s new competitive lease rates! With the Honda Accord you can enjoy all the practicality and convenience you need, without having to sacrifice style. It’s sleek lines, sophisticated design cues and polished good looks will have you re-thinking what a family vehicle should be. It features a sunroof, heated front and rear seats, heated steering wheel, leather interior, driver’s seat memory, rear view camera, Bluetooth®, proximity key with remote engine starter, power front seats adjustment including 4-way lumbar support for the driver’s seat, Home Link® remote system, SiriusXM™, LED headlights with auto high beam and traffic sign recognition system and so much more! North American Car of the Year and AJAC 2018 Canadian Car of the Year, the completely redesigned 2019 Honda Accord made Car and Driver’s “10Best Cars” list for the 32nd consecutive year. From our home to your home – Okotoks Honda is here to drive home your best deal, the experience you deserve and to take away the hassle of car shopping. Our management team and staff will work together to help you find your Accord quickly and easily. 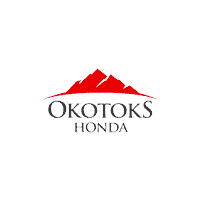 Experience the Okotoks Honda Difference – the #1 Google Rated and Reviewed Honda dealership in Calgary, Alberta and Canada as well as Honda Canada’s Driving Excellence Award Recipient for 2019. The Vehicle Upgrade Program at Okotoks Honda is a vehicle replacement program allowing you to upgrade to a safer, newer, more technologically advanced and reliable Honda for a similar monthly payment as your current vehicle. The strong market and demand for Honda vehicles has led to record breaking sales which have decreased Honda inventory levels. The Vehicle Upgrade Program provides you with an opportunity to sell your current Honda to Okotoks Honda for above market value and upgrade to a brand new 2019 Honda at the same time! The Okotoks Honda VIP Ambassador Program is our way of thanking you for sharing your positive experiences with your friends and family and recommending our dealership. When you refer a friend or family member, you have our commitment to treat them with the same exceptional level of respect and dedication you received here at Okotoks Honda. Successful referrals that result in a sale will earn you a $100 referral reward. You will receive a referral reward for successfully referring a friend, family member or co-worker to our dealership. *In service, parts, accessories, OR credit towards your next new or used car purchase at Okotoks Honda *Conditions may apply. See dealer for details. At Okotoks Honda, we want to give you the best resources and information available regarding Honda Canada Programs. We pride ourselves to offer you the LOWEST COST IN DRIVING. In what we mean, is that our Okotoks Honda Lease Loyalty offers more than just a low lease payment. You can review all the features and benefits below. Our Leasing/Loyalty Department is here to answer your questions and give you the option to make a clear and informed decision from purchasing your existing lease and reviewing all options on a new lease! Sell or trade-in the vehicle against a newer vehicle. Walk away from the vehicle with no hidden fees. Purchase the vehicle for cash or refinance the remaining balance and continue to use the vehicle. Honda set the new standard in vehicle warranties when they first introduced their 5 Year/100,000 km No-Nonsense warranty and it continues to be the best new car warranty on the market when it comes to protection and overall customer satisfaction. The standard Honda car & truck warranty covers your essential components while you also have access to a wide range of additional extended warranties and protection options. For additional information about warranty options for your vehicle, talk to our Financial Services Department at Okotoks Honda.